Does your facility have CAT 5e wiring installed already? You can still get a great performance gain—up to 500 percent over Gigabit Ethernet speed—without rewiring! 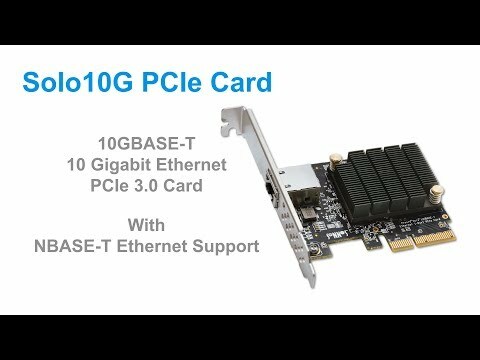 The Solo 10G PCIe Card supports the NBASE-T™ standard of 2.5/5 Gb link speeds over CAT 5e (or better) cabling when used with a Multi-Gigabit switch or router. This capability allows you to deploy the same card across an organization for users supported by different Ethernet cabling infrastructures. Got a Thunderbolt connection, but no PCIe slot? 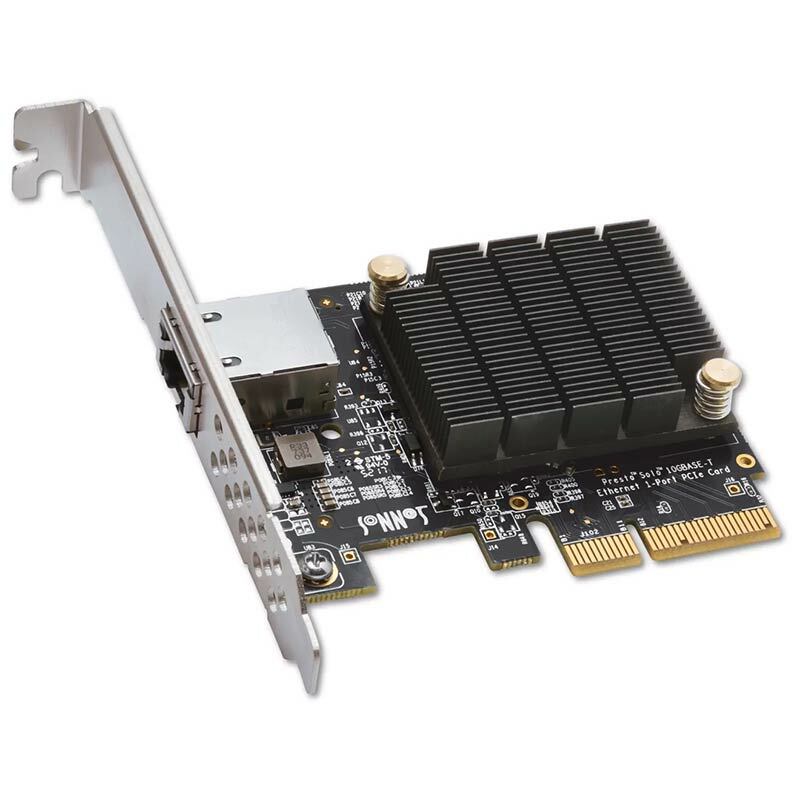 Solo10G PCIe Card is ideal for use in one of Sonnet’s Echo™ Express or xMac™ Thunderbolt-to-PCIe card multi-slot expansion systems—the combo enables you to add an ultra-fast 10GbE network connection to any Mac® with Thunderbolt 2 or Thunderbolt 3 ports, or Windows PC with Thunderbolt 3 ports. You may also want to consider Sonnet’s Solo 10G Thunderbolt 3 Edition adapter—it’s compact, rugged, and bus-powered, and perfect for use with Mac and Windows computers with Thunderbolt 3.